Le Meridien Piccadilly’s Health Club and Spa is in an unique position – underneath Piccadilly. We could feel a theme coming on here! 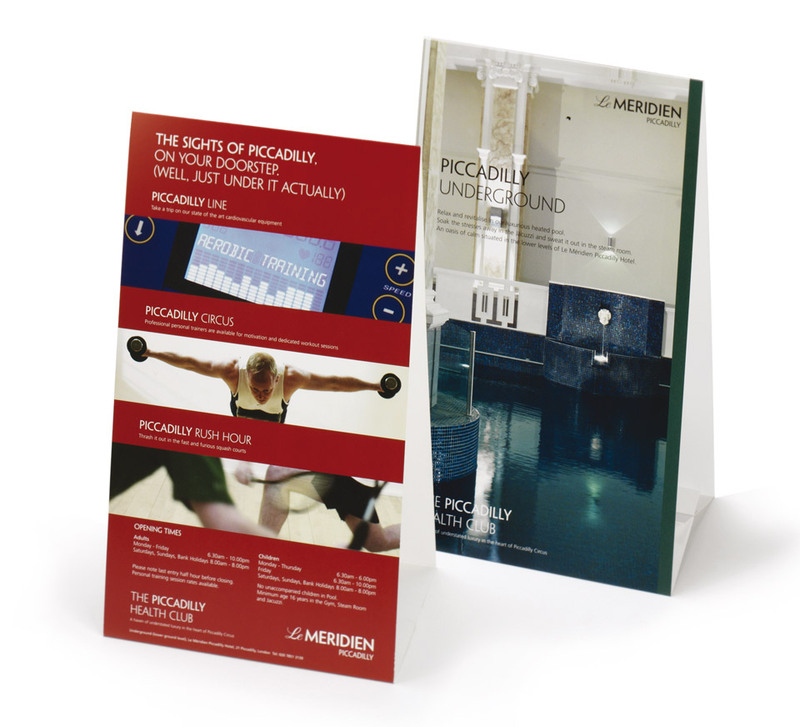 To create collateral showcasing the Health Club and Spa. Local businesses wanting a convenient, but well equipped gym, pool and spa which they can visit easily. They could bring clients and would like to be able to have some food as well. This is so near but I never guessed it existed. It’s right under Piccadilly and has good equipment and a pool which I can use at lunchtime or after work. There’s also great food from the hotel. The Health Club and Spa – right under your feet. New photography and straplines were created all around the theme of Piccadilly. Piccadilly Underground, Piccadilly Line, Piccadilly rush hour and Piccadilly Circus are all familiar local names and phrases.